Vegetables are categorized as cool- or warm-season, depending upon their outdoor and soil temperatures. Warm-season vegetables need high temperatures, full sun and warm soils to produce fruit, while cool-season vegetables require cool soils and temperatures to thrive. Classic warm-season vegetables such as melons, cucumbers and corn are killed by frost, so make sure you plant them after the threat has passed, around April or May. Tomatoes are garden staples that thrive on high summer temperatures. 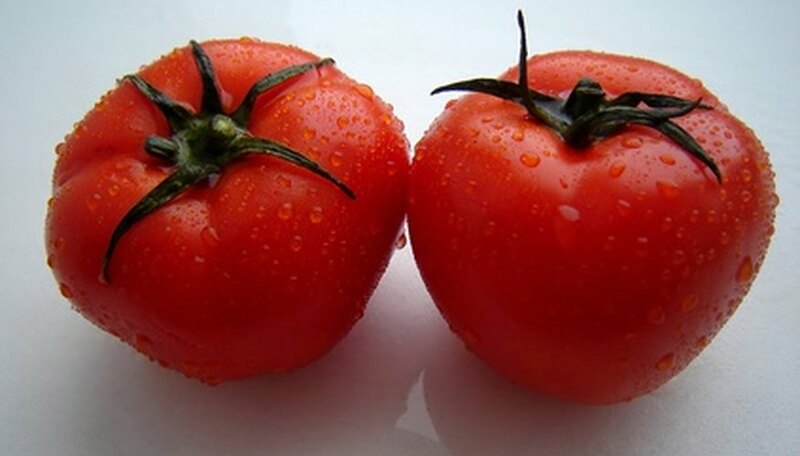 There are dozens of varieties of tomatoes, such as the sun gold and sweet 100, that produce sweet, fresh flavors and are ideal added to salads. Large tomatoes such as the brandywine and early girl are ideal sliced for sandwiches. Tomato plants require a sunny spot in the garden or container and well-drained, neutral to acidic soils. They also require a garden stake or trellis to help support the heavy fruits and prevent fruit rot that can occur if the tomatoes are untrained and sprawling along the garden. Use garden wire to hold the tomato vine to the stake as it matures. Tomatoes also require regular and thorough watering to ensure they are kept moist at the root level. If planted inside a container, daily watering might be necessary during extreme temperatures. Fertilize the tomato as soon as it reaches a golf ball size and feed every three to four weeks during the growing season. Native to the tropics of South America, peppers are bush vegetable plants that grow 1 to 4 feet tall. They are classified as sweet or hot and can be grown in high summer temperatures. Peppers require a long season with consistently warm soil and outdoor temperatures to help produce a hardy crop. 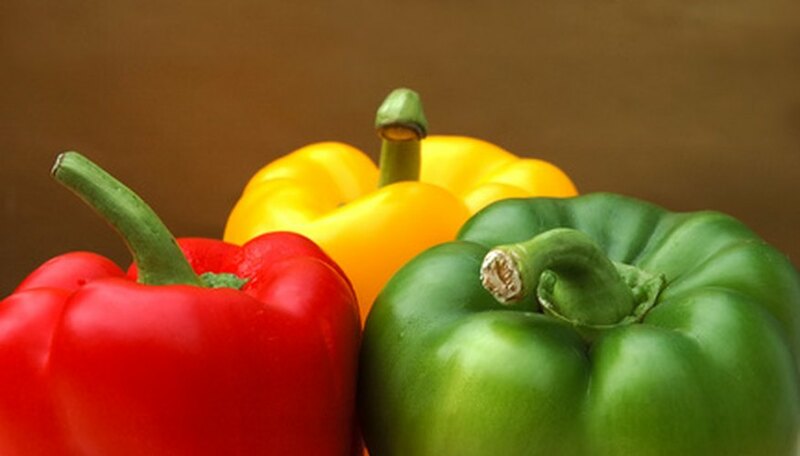 Peppers are grown in a wide range of bright colors, with some starting off green to mature to a purple, yellow or orange. Sweet peppers include red bell peppers that have a large shape and are ideal stuffed or sliced in salads. Sweet cherry peppers are long, narrow peppers that are delicious fried or picked. Hot peppers range in size from a small habenero to a long Anaheim pepper that is used to make chili sauces. After the peppers have become established, but before they bloom, apply one to two rounds of fertilizer. 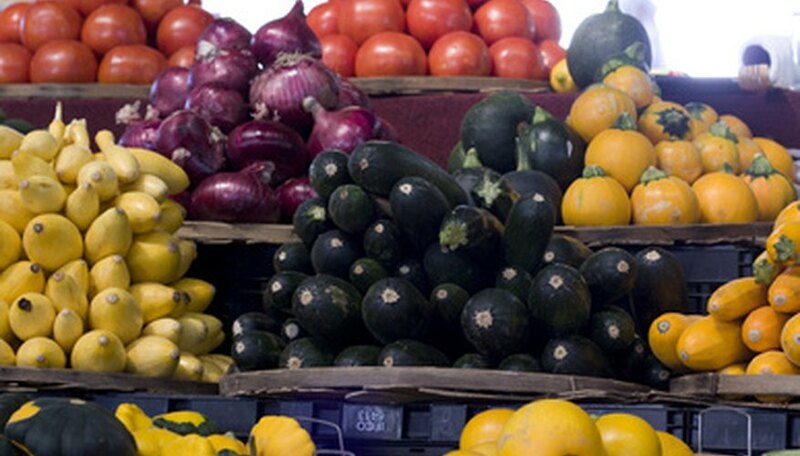 Summer squash produces a prolific amount of vegetables during the summer. They grow well in extreme heat and require full sun to thrive. 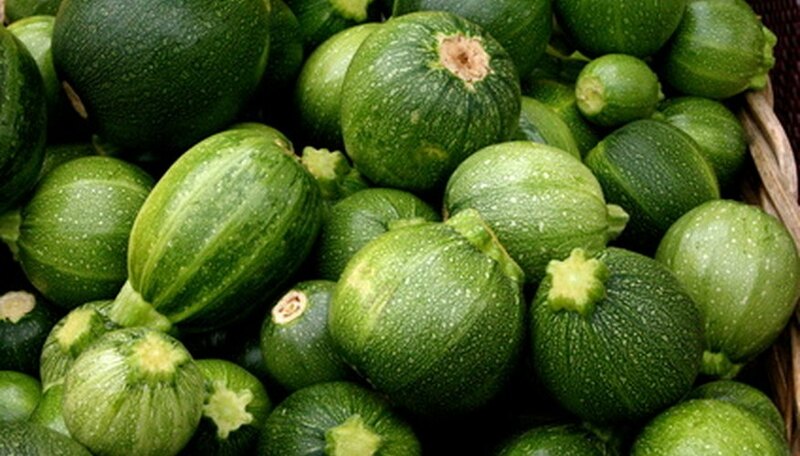 Summer squash includes patty pan, crookneck, green and gray zucchini, and Italian squash varieties. Summer squash vines require plenty of space, at least 2 to 4 feet apart when planted in rows, and require fertilizer every two to three weeks. Roots of summer squash need regular moisture to ensure they are kept moist. Because they produce a high yield, pick the squash when it’s tender and young. The blossoms on squash can also be eaten.